Kharkiv State Zootechnical-Veterinary Academy (Харківська державна зооветеринарна академія; Kharkivska derzhavna zooveterynarna akademiia). A post-secondary institution under the jurisdiction of the Ministry of Agriarian Policy of Ukraine, located in the town of Mala Danylivka north of Kharkiv. 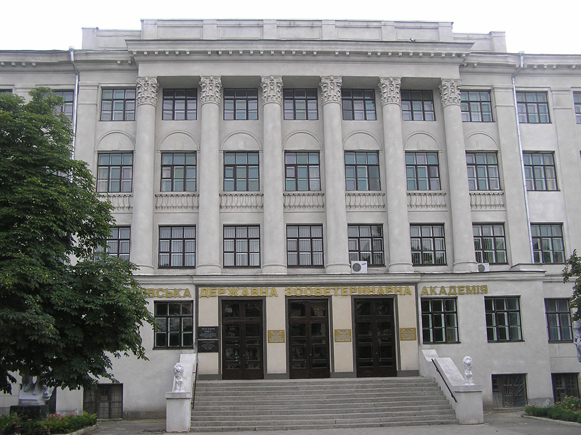 It was established in 2001 on the basis of Kharkiv Zootechnical-Veterinary Institute. The academy has faculties of veterinary medicine (with 14 chairs), technology (with 8 chairs), management (with 4 chairs), and correspondence studies. It employs over 200 instructors and has 2 research farms, a library with over 230,000 volumes, and a museum of academy’s history. It publishes collections of scientific articles.